Nutrition information on recipes. It’s as common these days as publishing the ingredients and method. 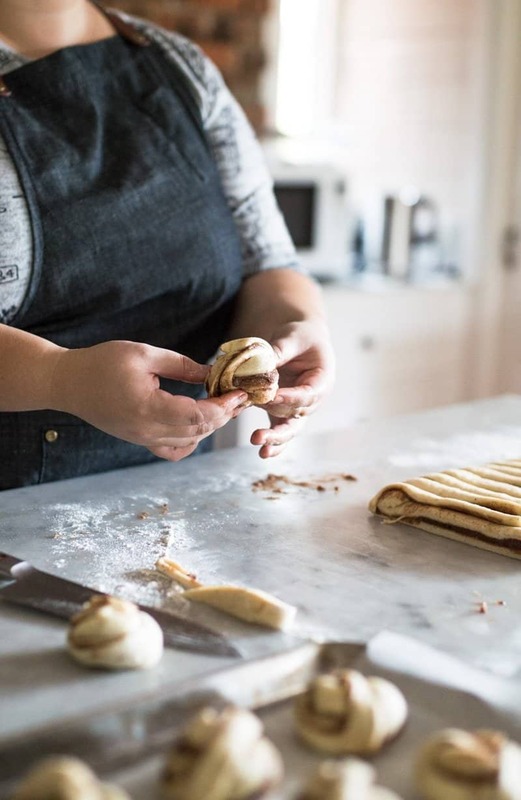 But if you check out my recipe collection you will note a distinct lack of a nutrition information panel that spells out the number of calories, fat, sugar, carbs etc in the recipe. And I have done that on purpose – here’s why. You won’t find nutrition information on my recipes because I firmly believe that all foods are morally neutral. By assigning calories, grams of fat, sugar or carbs to my recipes; all of a sudden they become ‘good’, ‘healthy’, ‘clean’ recipes or ‘bad’, ‘naughty’, ‘guilty’ recipes in the eyes of those who place value on these figures. I prefer people to choose to make my recipes for other reasons. For example, because they might like the taste or the texture, or how the food makes them feel in their body, or how the food will nourish them, or because they want to try something new, or because they find pleasure in preparing and cooking food. Once a recipe is assigned nutrition information that is used for tracking purposes; rather than enjoying the food, all people see are numbers on the plate and this can distract or detract from eating mindfully. And if we remember, eating mindfully in its simplest form involves using all of our senses, tuning in to our internal cues of hunger and fullness and eating without judgement. Using a nutrition information panel to make decisions about food does the exact opposite. It is allowing something external (e.g. grams of fat or sugar) to influence what you choose to eat or how much you choose to eat. And this may not be what your BODY is really telling you it wants or needs if you really listened to it. Have you ever felt like chocolate cake but decide that instead of making your favourite recipe, you go in search of a “healthified” version? You make the version that, which according to the nutrition information, says it is lower in fat and has no added sugar but you find it doesn’t really hit the spot in satisfying your chocolate cake craving. Or, maybe you have felt like baking the chocolate cake but tell yourself that you shouldn’t be eating cake at all and eat a banana instead. But you are still feeling dissatisfied, so you have some yoghurt…and then some rice crackers…and then a bliss ball. Not only do you beat yourself up for eating so many snacks, but you find that hankering for chocolate cake is still hanging around!! My point is, rather than allowing the nutrition information on the chocolate cake recipe to decide for you that it is a ‘naughty’ food; what would it be like for you to save all of that mental labour (not to mention eating a whole bunch of food that in your heart of hearts you didn’t REALLY want to eat but THOUGHT you SHOULD be eating) and just spend the time doing an activity that brings you joy (i.e. baking) and then sit down to enjoy a slice in peace? what if I have a medical condition that needs dietary management? If you have a medical condition that you have chosen to care for through food, then the nutrition panel might form part of the total information you gather when making food choices. For example, someone with kidney disease might want an idea of the amount of sodium, potassium and phosphate there is in a food or recipe, or someone with diabetes might like to know the type and amount of carbohydrate in a food or recipe. This is a WHOLE different matter and I hope you have a dietitian on your team to support you. But, you won’t find nutrition information on my recipes because, at the end of the day, ALL FOODS FIT. 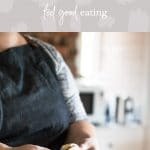 And this website and my articles are dedicated to helping people feel at ease with food and move away from feeling consumed by food rules and restrictions. It is just up to you to pick and choose which ones best suit your body, your budget, your cooking confidence and your taste buds at any given time! what do you think? 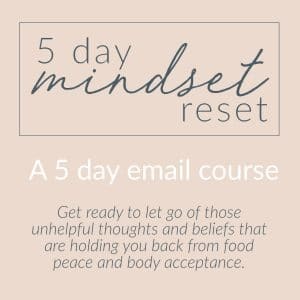 is the nutrition information helpful or a hindrance when learning to re-connect with your body and food? Exactly – well said Nina. I’m glad you turned this into a post. Non-dieting intuitive eating is the way to enjoy all recipes (food) as part of a balanced diet. This is a well-written post, and I agree with you! I’m glad you mentioned that there are some reasons why the numbers in a food are important for people to know, but overall, I think we are healthier when we aren’t so numbers-focused and really listen to our bodies. I have from time to time posted nutrition information, because I thought that is what readers would want. I don’t like to though because I don’t want people to not try a great recipe just because they think the numbers are not good. I totally agree with you. YES! This is my point exactly! I love this post! I have had people ask me about nutrition information. I like people to focus on the nutrition and benefit of what they are eating rather than deducing it from their calorie total for the day. Once I got away from calorie counting I found that I enjoy eating much much more! Yay! So glad you have found more joy in eating! Agree! Agree! Agree! It’s why I don’t include it either. Great post Nina! Sometimes I post the nutrition info b/c I feel like people are looking for it, or for something that may seem more decadent than it really is and then they wouldn’t otherwise try it. But generally speaking I prefer people to make something b/c they like they way it sounds and looks, not bc of the numbers associated with it. I completely agree with you! 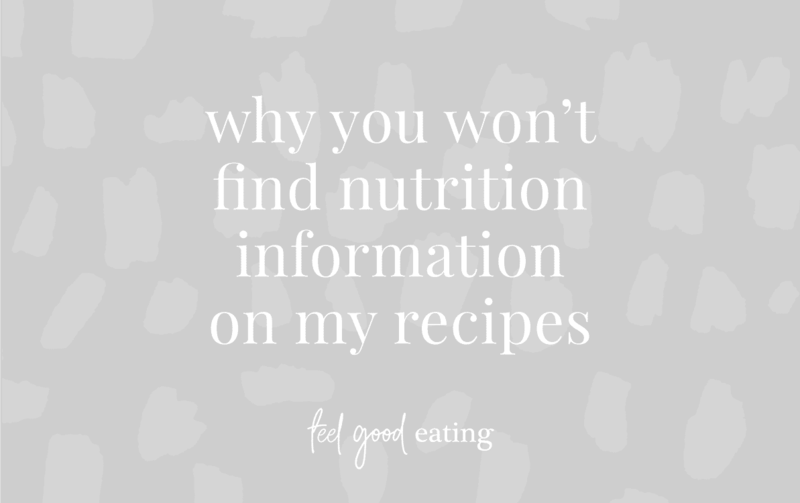 I don’t post nutrition information with my recipes either. I actually used to be pretty restrictive with myself (I’m an RD) and over the years (and after reading the book Intuitive Eating) I am letting myself eat anything that sounds good to me, and really paying attention to how food tastes. It makes such a huge difference with my relationship with food! Love your comment Emily – thank you for being so honest. Such a great read, thanks for sharing this. Completely agree that when you crave a chocolate cake that you should just have some chocolate cake…not a “healthified” version that might save you a little bit of calories and sugar but doesn’t hit the spot.